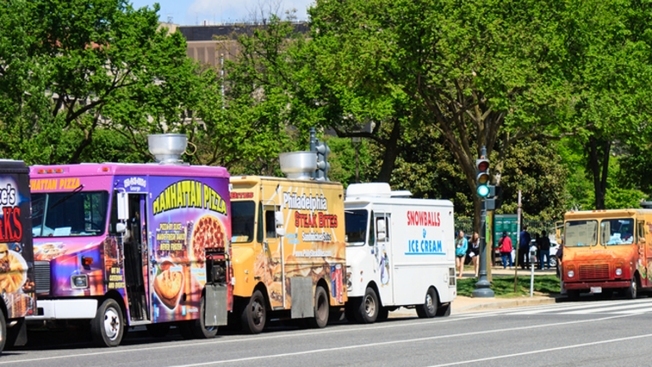 Food trucks tend to travel in packs, but on Saturday, June 6, it's really going down at the Taste of Three Cities Food Truck Festival in Baltimore. No fewer than 20 different food trucks will dish up their goodies -- and compete for your affections -- in Baltimore's Patterson Park (27 S. Patterson Park Ave.) from noon to 9 p.m. You'll also find beer and wine, live music, and a kids' area, but let's be honest: You want to hear more about the food. Maybe you're in the mood for a Charm City Gourmet lobster roll? Or a Miss Twist salted caramel sundae? Sweets and meats are all represented in this collection of gourmet creative cuisine. Check out the list for more participating food trucks. While you're noshing, cast a vote from your phone for your favorite truck in the People's Choice competition. Several early bird ticket specials are available. General admission is $15; a VIP package gets you early admission into the park at 11 a.m., unlimited drinks, and access to special areas. Family packages are also available. Order your tickets online for these discounts.